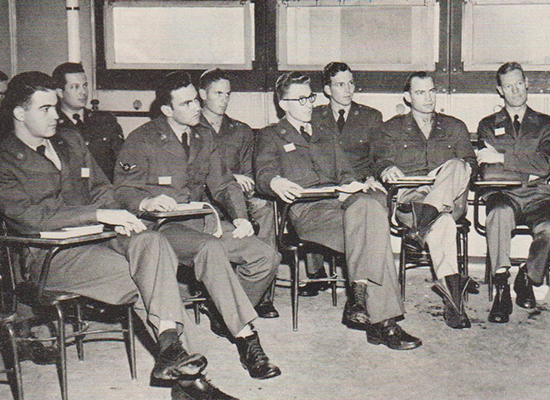 The Air Force Reserve Officer Training Corps was established in 1946 after the instrumental role the Army Air Force played during the second world war. At the outbreak of the Korean War, AFROTC enrollment continued to climb, even as the GI Bulge waned and Syracuse enrollment numbers dropped. Chancellor Tolley again spearheaded efforts to increase educational benefits for veterans. He advocated for changes to the “Korean War GI Bill” to equalize benefits between public and private institutions, which would allow student veterans to select a school without worrying about cost. 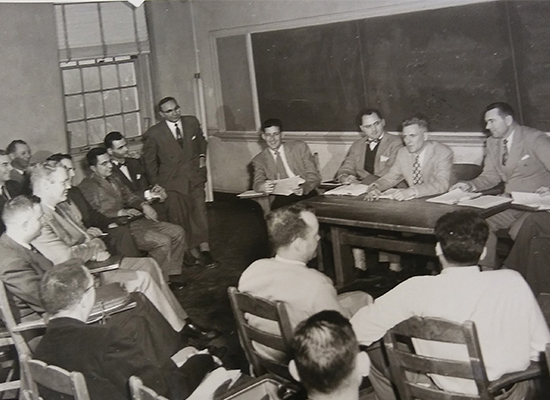 1951 – The Air Force Institute of Technology initiated a Russian and Eastern European Language Program at Syracuse, which provided intensive training for use in intelligence. 1952 – The Army (later Defense) Comptrollership Program opened its doors to active duty soldiers to improve resource management within the Army and Armed Forces. 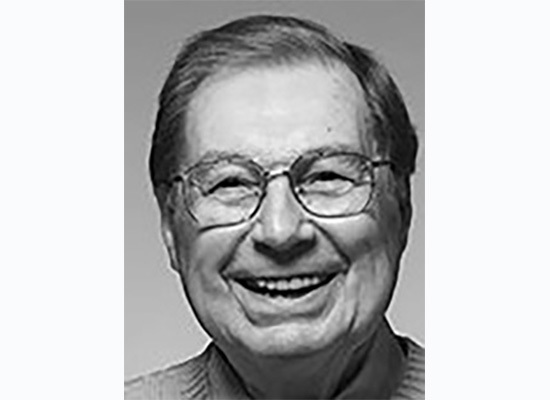 In 1963, the Military Photojournalism Program was established at Newhouse by Fred Demarest (1925-2017), a Korean War veteran. 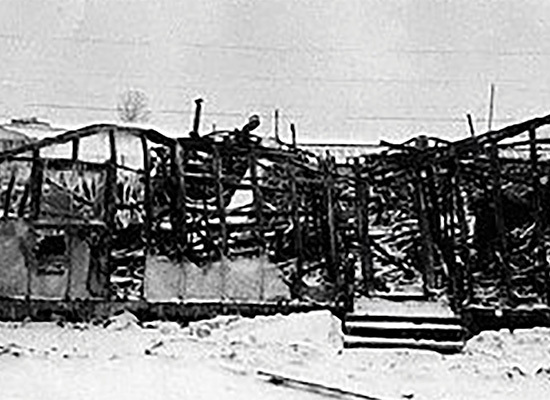 The program, initially attended only by Navy veterans, was intended to improve the quality of military photojournalism. All other branches of the military quickly joined their Navy counterparts in attending this rigorous course. In 1992, the Military Motion Media course was added, focusing on broadcast journalism. 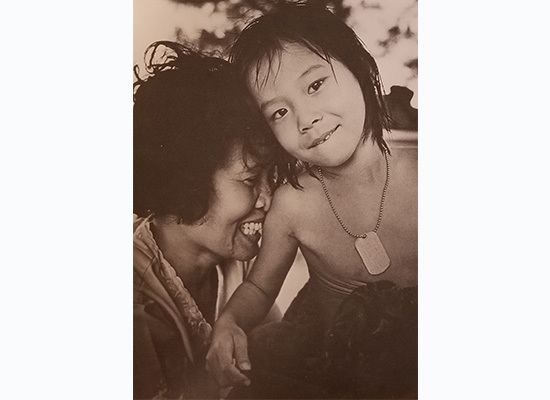 Images below are taken from Twenty-Five Years of Photojournalism at Syracuse University; Newhouse Publications edited by Kip Burke. 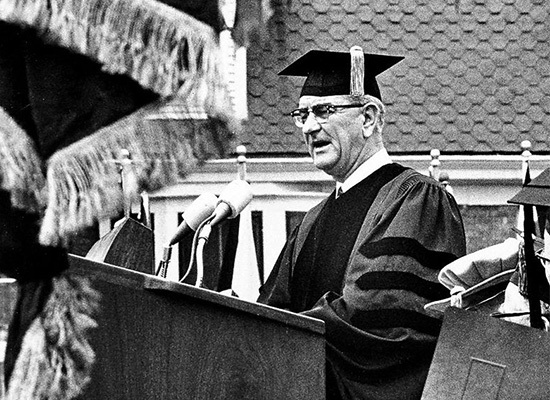 On August 5, 1964, President Lyndon B. Johnson visited Syracuse University for the dedication of the S.I. Newhouse School of Public Communications. 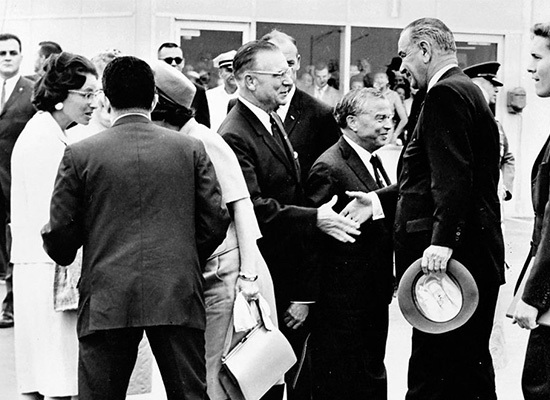 There, Johnson gave his second speech in two days on the Gulf of Tonkin incident, helping to officially launch the nation into war in Vietnam. 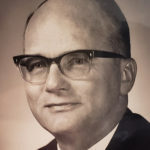 WWII veteran and Chancellor Tolley’s successor, Melvin Eggers was an advocate for Vietnam War veterans and fought for legislation improving the educational benefits available to those who served in the contentious conflict. 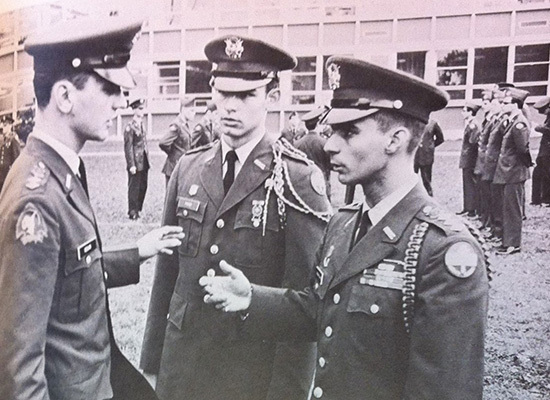 Chancellor Eggers believed the Vietnam era veterans got a “raw deal” and deserved more. 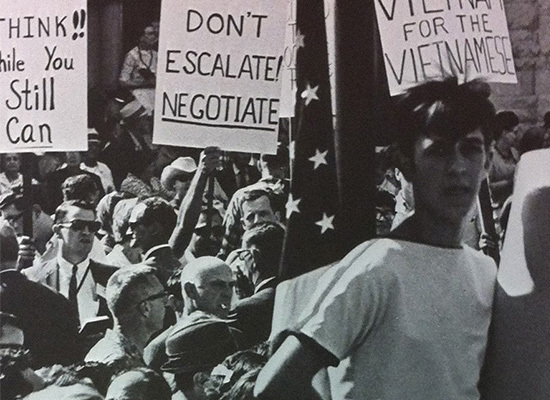 As the conflict in Vietnam progressed, Syracuse University’s campus reflected the controversy with students both serving and protesting the war. While many on campus opposed the continuation of ROTC on campus, the ROTC members made a strong defense to the University Senate, continuing the corps through the war and after. Syracuse students protesting the war in Vietnam. 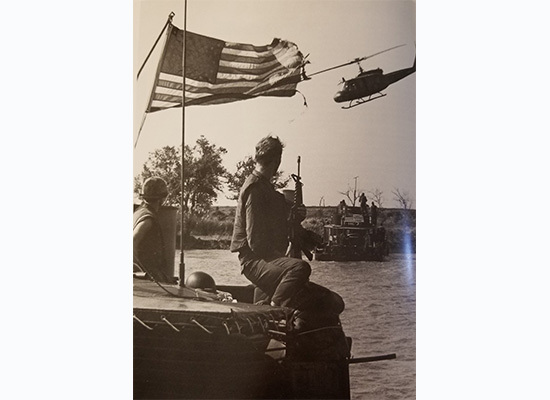 1968 Onondagan. A 1973 ’G and 1977’ PhD graduate, Dr. Stith received a scholarship to attend graduate school at Syracuse while serving in Vietnam. 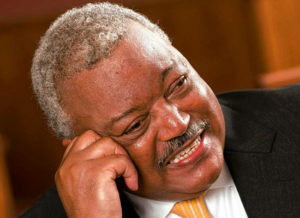 He served as dean of Martin J. Whitman School of Management from 2005 to 2014, and remains active in the Syracuse community and with the Institute for Veterans and Military Families (IVMF). 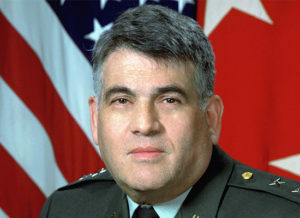 A 1956 graduate who became the commander of the Army Reserve after the Gulf War. 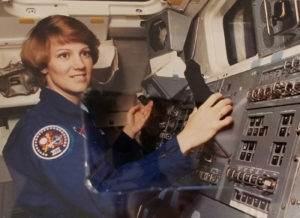 A 1978 Air Force ROTC graduate and the first woman to pilot a space shuttle. See Syracuse University’s various programs for its military-connected students.